Do you wake up every morning excited about a new day? Do you live each day with anticipation, expectation, and energy? Do you go to bed at night feeling satisfied, happy, and glad to be alive? Do you have a sense that you make the world a better place and that you are the only person in the world who could be you and do what you do? If so, you’ve probably discovered the transforming power of a generous life. If not, your life is about to change. We’re not made to serve ourselves. Have you noticed that if you have only enough time and energy to focus on yourself, life just isn’t that great? Have you experienced that amazing feeling of realizing that someone just did something for you without even being asked? Have you tasted the joy that comes from doing the same thing for others? When generosity becomes your lifestyle, your life will take on a new glow. You will feel appreciated. You will feel worthy. You will feel celebrated, and you will get that deep sense of satisfaction that comes from knowing you enrich other people’s lives. When giving moves from being an occasional activity to the very essence of your life, you start experiencing the fullness of life at a whole different level. When your goal is to live your life as a gift, you move from asking how you can get ahead to how you can serve others to the best of your ability. The question is not “What am I good at?” but “How can I best give my life away to others?” The University of Rochester professors found that people with life goals that focused on giving to others became happier as they met those goals, while people with self-focused goals got, if anything, less happy even if they were very successful. What would becoming a gift in every area of your life look like? If you ask yourself that question and begin living your life as a gift, you will discover satisfaction beyond anything you have known before. You don’t have to make massive life changes, move to another city, or start your own nonprofit to become a gift to other people. You can start with who you are, right where you are, right now. In fact, you probably are already a gift to many people in many ways, but you might not always be aware of it. Perhaps a few small changes in your routine are enough to revolutionize your life. How do you view your job? Do you see it as a way to earn a paycheck, or do you take pride in knowing that your company serves its customers well and that you, in turn, serve your company well? Do you ask yourself how your unique gifts and abilities could serve others better? Do you find yourself getting happier as you reach your goals, or do you live with a sense of dissatisfaction? Do you see yourself as a gift to your family, your friends, your community? Do you feel frustrated that life isn’t what you want it to be, or do you take joy in finding new ways to contribute and give? What about your leisure time? How could you make that more generous? Would teaching your kids to fish be more satisfying than going fishing by yourself? Could volunteering at a local charity be more life giving than sitting on your couch watching television? Remember—there is no obligation here. These questions should not make you feel bad about how you currently live. See them as presenting opportunities to live an even better life than you already do while improving the lives of those around you. Refocusing any aspect of your life through the lens of generosity can be an exceptionally powerful way to do both. Once you start asking the right questions, those questions can lead to the right answers. Perhaps you are not well suited for your job; maybe moving to a different career would free you up to become a better gift to others. If that is the case, moving will benefit everyone. Finding your place in the world and becoming the gift that only you can become is a good thing to want to do—it’s best for everyone. Think it through. Ask your friends. 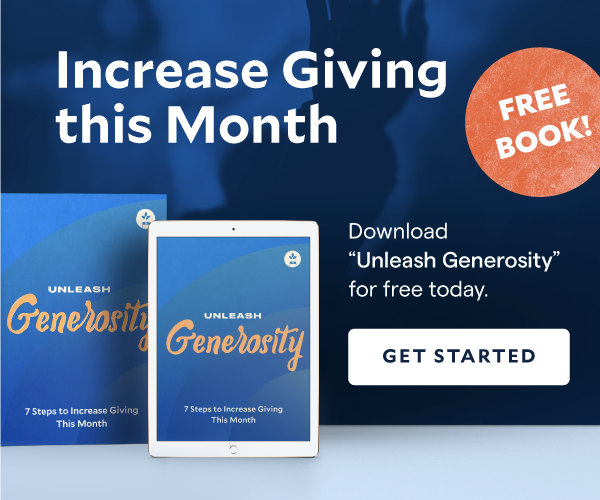 Make a list of the ways you give and how you can grow in generosity. Add to your list little by little. You don’t have to be a millionaire to give, and you don’t have to have a lot of money to be rich. All you have to do is start living to give. Adapted from I Like Giving: The Transforming Power of a Generous Life. Copyright © 2014 by Brad Formsma. Used by permission of WaterBrook, an imprint of Penguin Random House LLC.